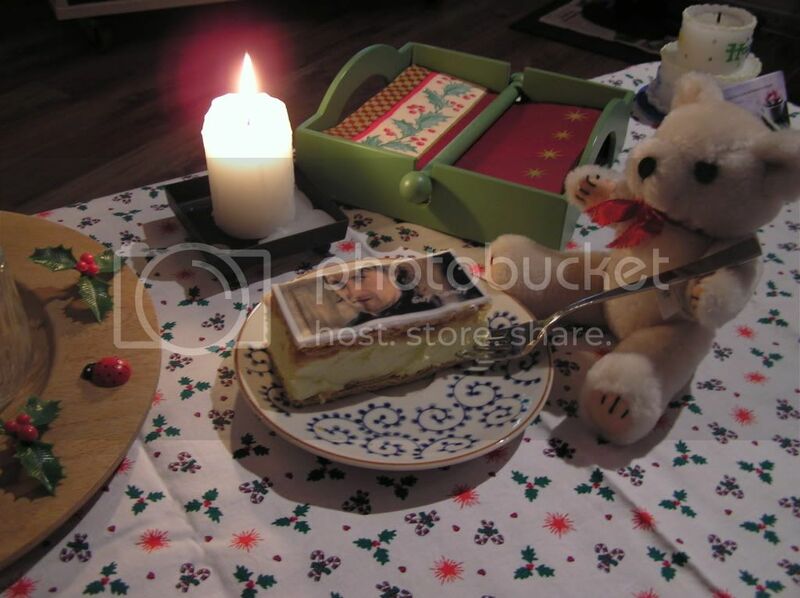 Below is one of the pictures submitted by mabelalexa and another is on the calendar. 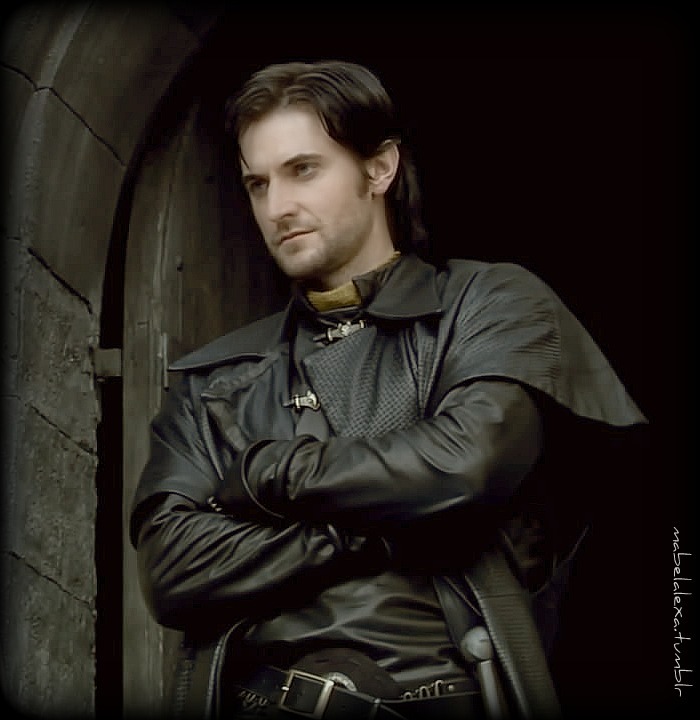 Here is your Sir Guy of Gisborne calendar updated to the 19th of December. @April: Hope you had a nice weekend! Yes, it’s an incredible picture. @servetus: I picked the “Naughty and Nice” pic because of the hilarious costume worn by the sheriff, but it’s in dead last place, LOL! @Maria Grazia: It’s a mystery sometimes what’s going to be popular, LOL! “It Looks Like Snow” to me!! Voted! @Summer: Thanks for your vote! @Jacqui: Oh la la! That’s is so cool!!! Do you mind if I post that on my blog? And as I also look at the youthful Sir Guy pix above in Bccmee’s post–it looks like someone air brushed his crinkles out? Ha! But, I have to ask. What is that round thing behind Sir Guy’s belt buckle? Has he got a 45 record in his pants that plays medieval oldies? I’m just thinking about Sir Guy’s theme songs: “Rock Around the Castle”, or “My Henchman’s Back and there is Going to be Trouble”, or “I Wanna Hold Your … Estate for you While You’re in the Holy Land,” or maybe even “Some Day My Prince will come .. After we Kill his Brother King Richard”. I am catching up. Thank you so much for the calendar, bccmee!!! @CDoart: Good to see you again. 😀 Welcome back! The more I think… more doubts I have… which one is my favourite… impossible to decide!!! Is there a way for me to link all the calendar days together so I can click on them in succession? I’m quite happy with them just as they are though…please don’t be hurt! Thank you for all your work and “Merry Christmas and a Happy New Year”. Now…if I could just convince Americans that saying “New Years” is incorrect …… there’s actually no such thing!!! It’s “New Year’s Eve”, “a New Year’s Eve party”, “New Year’s Day” or “New Year’s resolutions” or simply say “I’ll see you in the New Year”….no “s” required. @kathryngaul: All the pages are up-to-date. You can click on the 1st through the 19th on today’s calendar. 🙂 The calendar will be complete on the 31st. Thank you…you ARE a dear. I knew it must have been something i was doing wrong! Dec. 19 is most assuredly a lovely day! Thank you Bccmee & mabelalexa a beautiful clear pic too! I dont ever want this Guy fest to end!! I love this bad Guy look! Excellent choice, mabelalexa! And huge thanks again bccmee for the wonderful project! Lovely pics of Guy! Thank you!